Check out the new poster (above) for Brawl in Cell Block 99. In Theaters October 6 2017 and On Demand & Digital HD October 13 2017. 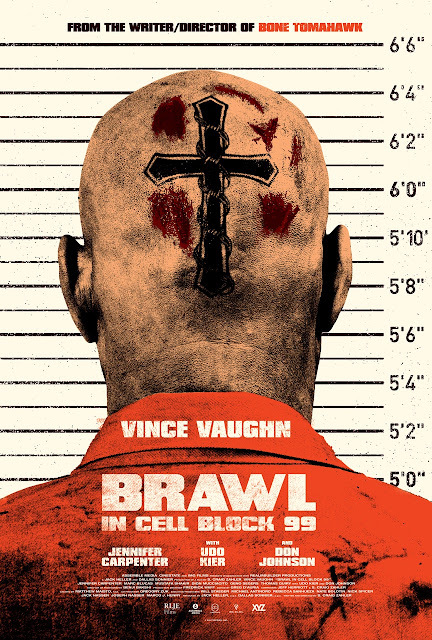 The film stars Vince Vaughn, Jennifer Carpenter, Udo Kier, Don Johnson, Marc Blucas. S. Craig Zahler (Bone Tomahawk) writes and directs.